Northern Utah county. Horsetail falls (7,228 feet) is a gorgeous cascade over granite that has very different looks depending on the season from ice and snow in the winter, to power and volume in the spring dwindling down to a pretty cascade in the fall. 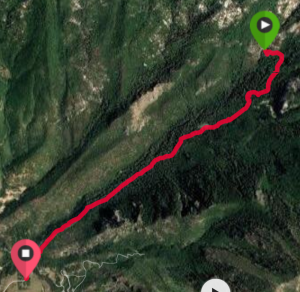 The shortest route to horsetail falls (4 miles round trip with a gain of 1590 feet on my Garmin) is to use the Dry Creek Trailhead above Lambert park and the rodeo grounds in Alpine. 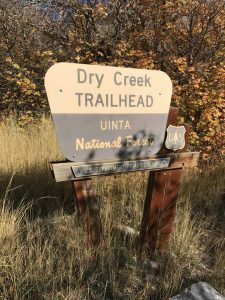 Another option is to begin up the north fork of American Fork Canyon at Granite Flats campground hiking over the divide and down the Dry Creek Tail to Alpine intersecting Horsetail Falls on the way down –But that is a serious hike. Beginning at the Dry Creek Trailhead (5,671 feet according to my Garmin), take the trail out of the east side of the parking lot. 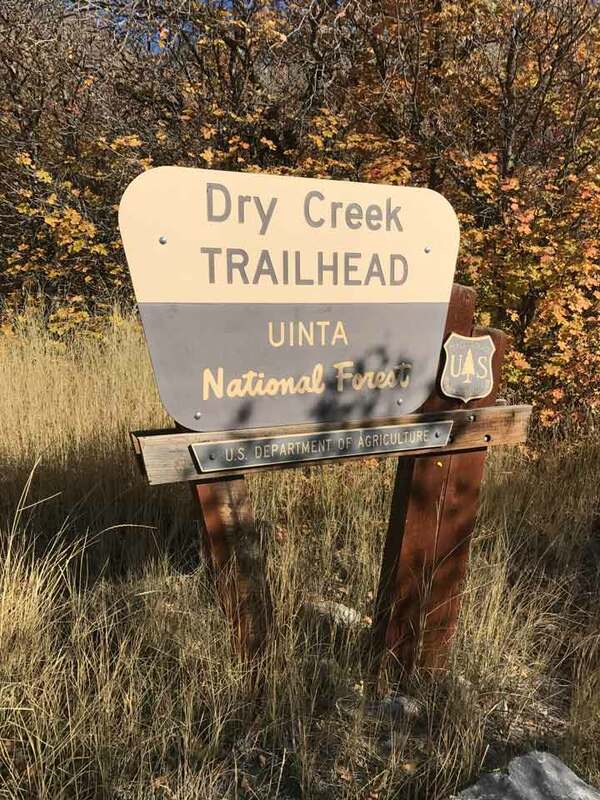 You will begin passing through scrub oak and within a quarter of a mile you will find yourself passing into a gorgeous alpine forest. The trail gains altitude quickly and continuously over the next two miles. horseback. 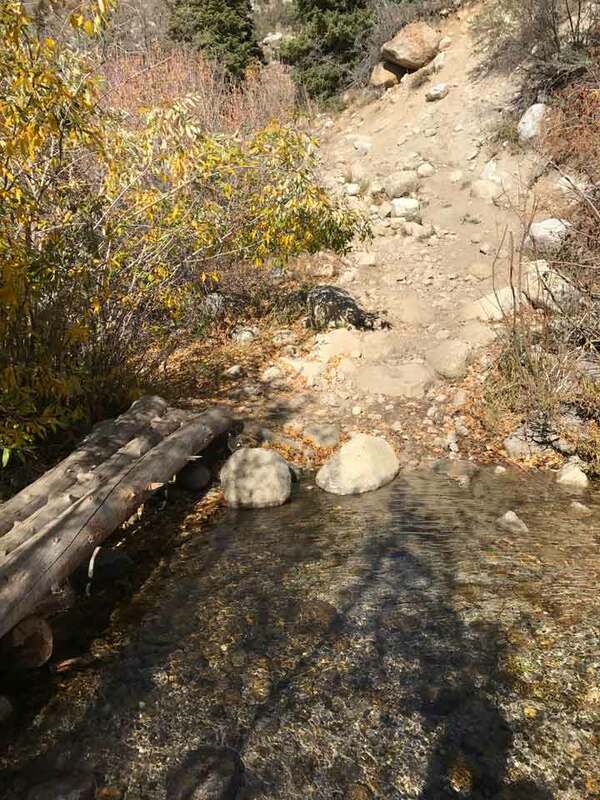 Make sure that in addition to enjoying the scenery and the beautiful views to the southwest that you mind your step! 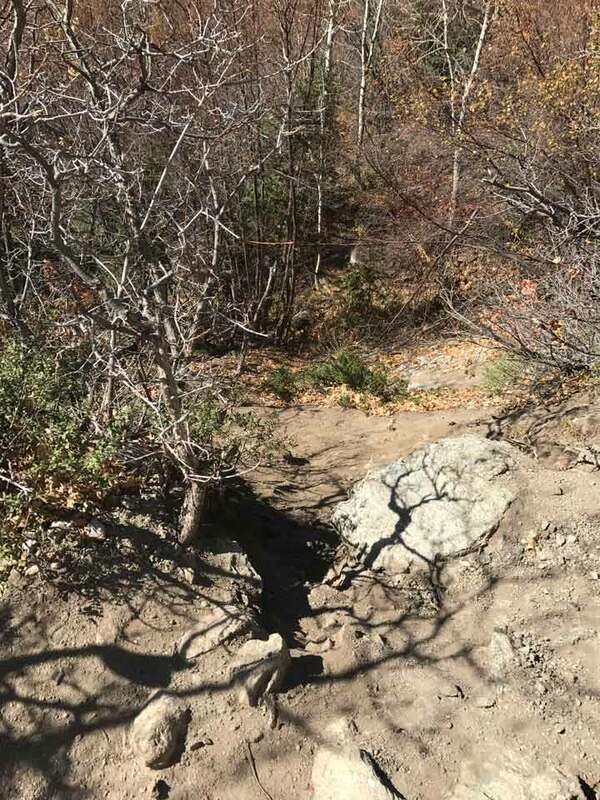 After about 1 1/4 miles, the trail becomes noticeably more rocky. 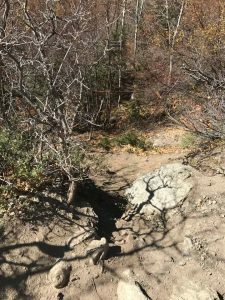 You will encounter areas where you are scrambling from rock to rock and having to mind you step so as to not turn an ankle. few muddy spots to maneuver. Major creek crossing have a nice log(s) to help you cross. fork, you will notice a slight trail dropping off on the left. This is it. It really is. 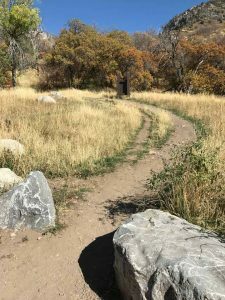 Follow the most worn path up and down through the trees for about 500 feet and you will arrive at the falls and an awesome view. Be prepared to turn around for the first time on your trip and realize the awesome view! If you don’t have a good view down the canyon to the southwest, then move around, climb on a rock and get one! It is a great view stop and enjoy. You’ve earned it. 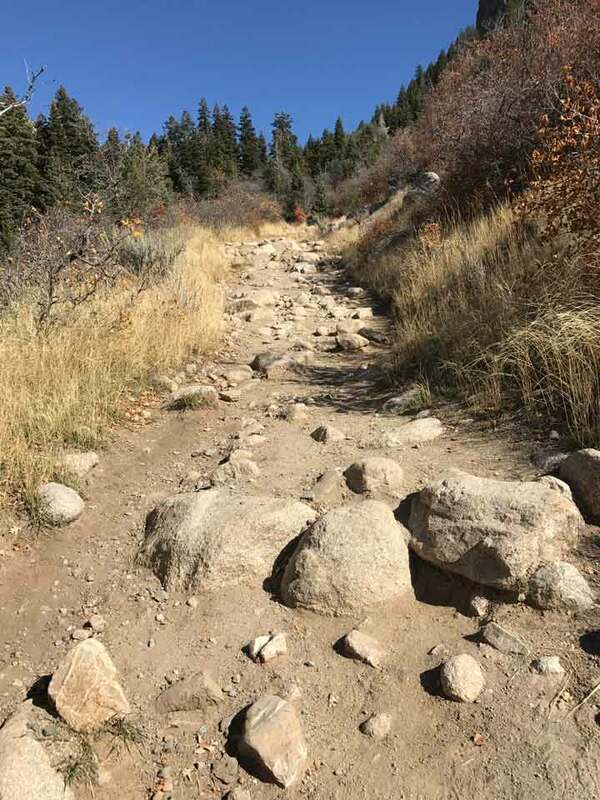 The trail back down will be much easier. Remember to watch your step on those rocks as well as watching for leftovers from the horse traffic! Fast hikers can make the trip in 2 hours. 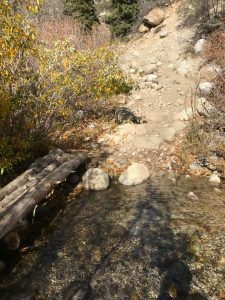 Schedule 3-4 for slower and more distractable hikers. 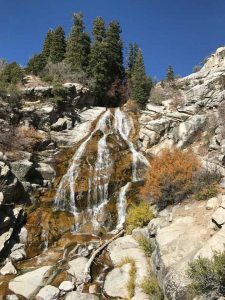 The descent from Horsetail Falls on Dry Creek Trail is About 2 Miles and 1590 vertical feet.